Invasive species removal could reduce, and in some cases potentially eliminate diseases affecting human communities on islands. 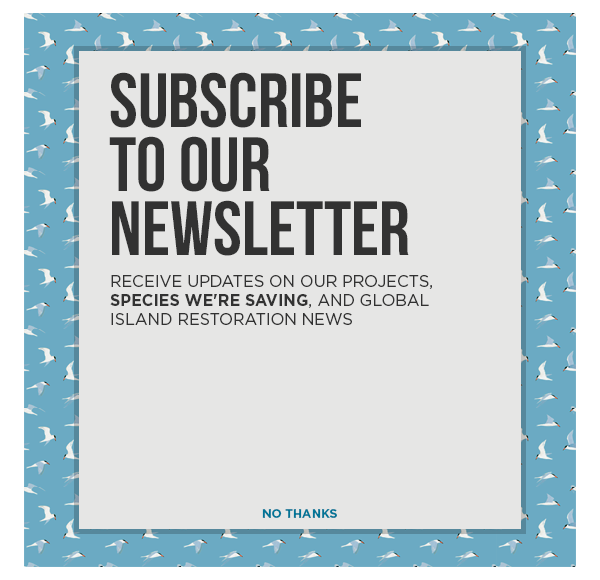 Restoring islands through the removal of non-native invasive mammals is a powerful biodiversity conservation tool. Our new study now shows that human communities on islands could benefit from restoration actions, which can potentially reduce or eliminate the burden of diseases transmitted to people by invasive species. Simply put, removal of invasive species can benefit human health in addition to ecological health. The study, “Estimating Burdens of Neglected Tropical Zoonotic Diseases on Islands with Introduced Mammals,” examined how scientists can predict the burden of diseases transmitted by invasive rodents and feral cats and dogs to human communities on islands. Rodents and feral cats and dogs are three of the most common invasive mammals found on islands. They are known drivers of decline and extinction of many native island plants and wildlife, and they are also important sources of pathogens that cause diseases in people. Leptospirosis, rat lungworm disease, toxoplasmosis, rabies, and toxocariasis are just a few examples of these diseases. In addition to posing threats to human health, diseases transmitted by invasive species can also impact native species. For example, Toxoplasma gondii, which is often carried by invasive feral cats, is the causative pathogen of toxoplasmosis. This pathogen can run off into the marine environment, infecting marine mammals such as the Endangered Hawaiian Monk Seal (Neomonachus schauinslandi). So-called “neglected diseases” tend to have disproportionate impacts on isolated human populations (e.g. on islands) that have limited access to healthcare services needed for diagnosis, reporting, and treatment. These diseases can be treated with antimicrobials, antiprotozoals, or vaccines. However, left untreated, they can cause severe and permanent damage to the nervous system, eyes, liver and/or kidneys, and may even be a cause of death. Invasive rodents and feral cats and dogs co-occur with approximately 470 million people on 560 islands that also harbor Critically Endangered and Endangered species as defined by the International Union for Conservation of Nature (IUCN). Biologists from the Department of Ecology and Evolutionary Biology of the University of California Santa Cruz and Island Conservation and I are collaborating to introduce the possibility of using biodiversity conservation actions such as the removal of invasive mammals from islands to protect native species and improve human health in island communities. However, prior to promoting this synergy between biodiversity conservation and public health, we need to identify the islands where biodiversity and human health are more likely to be heavily impacted. We found that only 57 islands worldwide had information about the impacts of diseases carried by invasive mammals. The lack of data is likely a result of under-reporting and inadequate public health resources (a common feature of neglected diseases). However, island attributes such as temperature, precipitation, gross domestic product (GDP) per capita, and human population size can be used to predict the impacts of diseases where data is deficient. Our study provides the initial phase for identifying islands on which management of invasive rodents and feral cats and dogs could potentially protect native wildlife while also safeguarding humans against diseases. Ideally, the next step would be for public health authorities to verify our findings through on-the-ground measurement of disease burden followed by cost-benefit analyses for management of invasive mammals. Under-reporting is a telltale sign of neglected diseases, yet a large proportion of islands with people and invasive species are suitable for management of introduced species. Thus, our model can help inform ongoing prioritization of islands where restoration could alleviate ecological damage and the burden of diseases in human populations. Understanding the burden of neglected diseases on islands will facilitate collaborations and synergies between the conservation and public health sectors, which are increasingly needed to meet future sustainable development goals. Thus, these collaborations can increase the quality of life for hundreds of human communities while also protecting native biodiversity. Luz A. de Wit is a PhD Candidate in the Ecology and Evolutionary Biology Department at the University of California Santa Cruz. She is studying the impacts of feral cats on human health and examining if feral cat management can benefit public health as well as biodiversity conservation efforts. Her research is currently focused on toxoplasmosis, as it is a disease of public health relevance that in many circumstances can be directly linked to feral and stray cats as the principal source of infection. Her goal is to understand if feral cats are important local sources of T. gondii for humans, and if feral cat management can potentially alleviate the burden of toxoplasmosis in people while also protecting native wildlife.